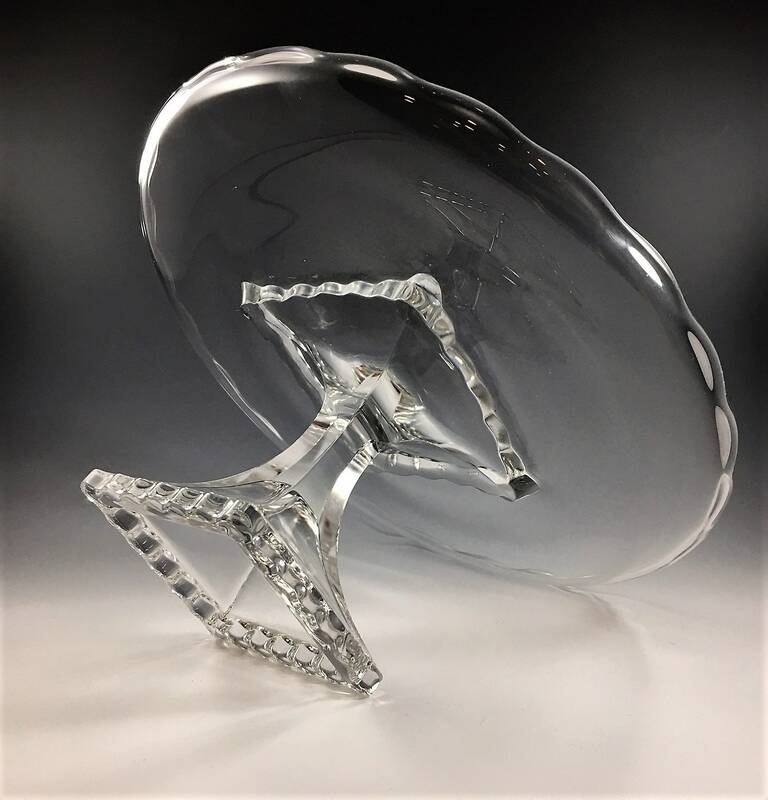 Featured is a stunning piece of vintage glass from Viking. 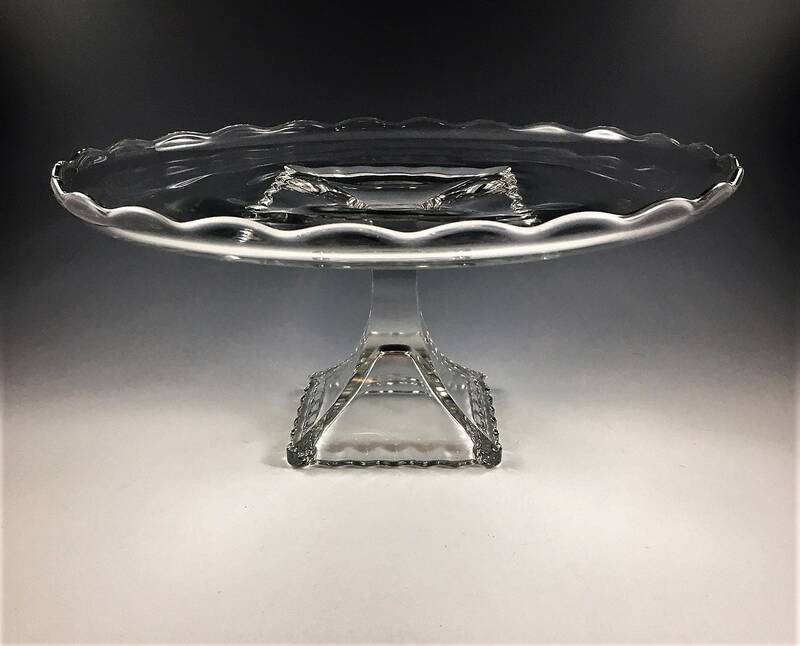 This large cake stand or cake plate is from their Princess Plaza pattern (number 5525) and is the 12-inch Cake Salver (c. 1952-63). 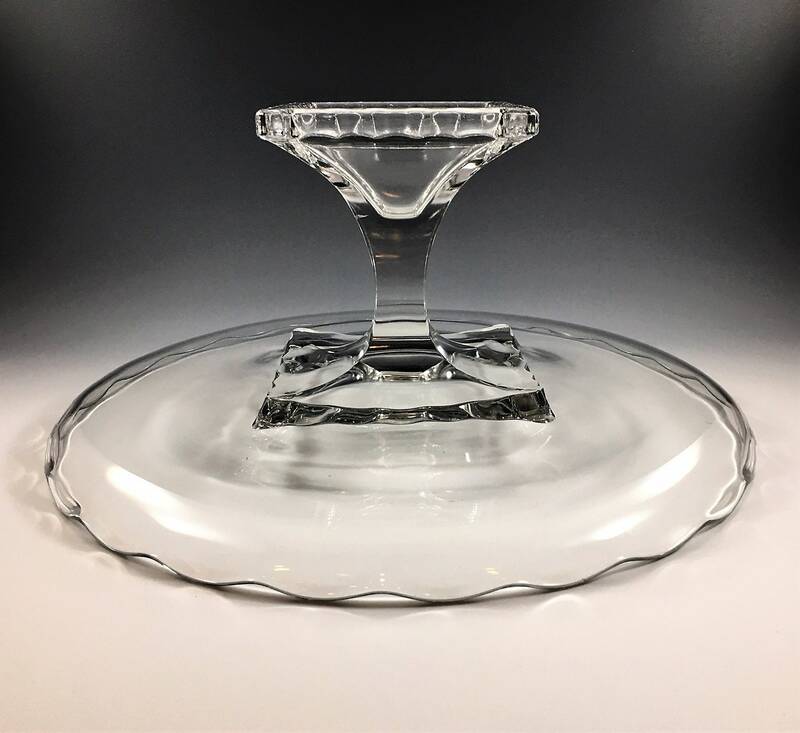 This piece has a diameter of 12 1/2 inches, and its substantial square pedestal base lifts the plate about 5 3/4 inches high. It is in excellent condition, free from any chips or cracks. 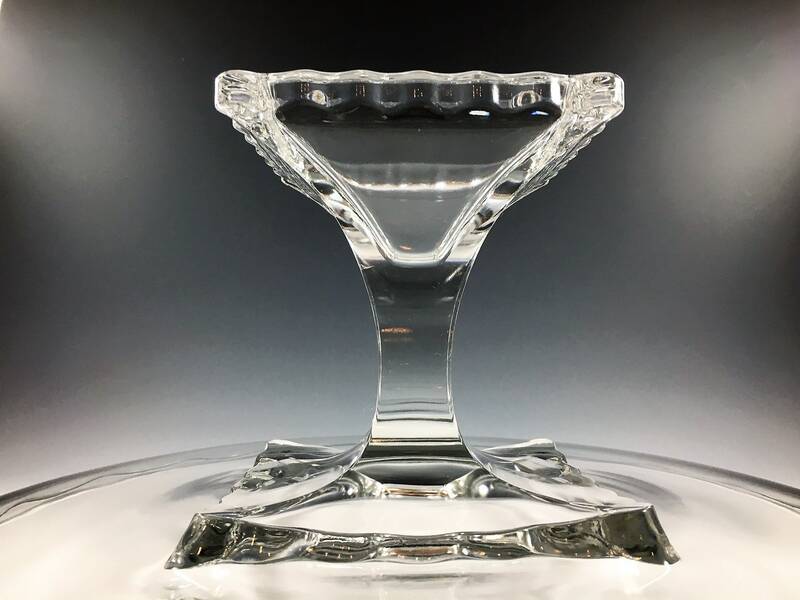 This elegant stand is perfect for a wedding, bridal shower, or any formal event. 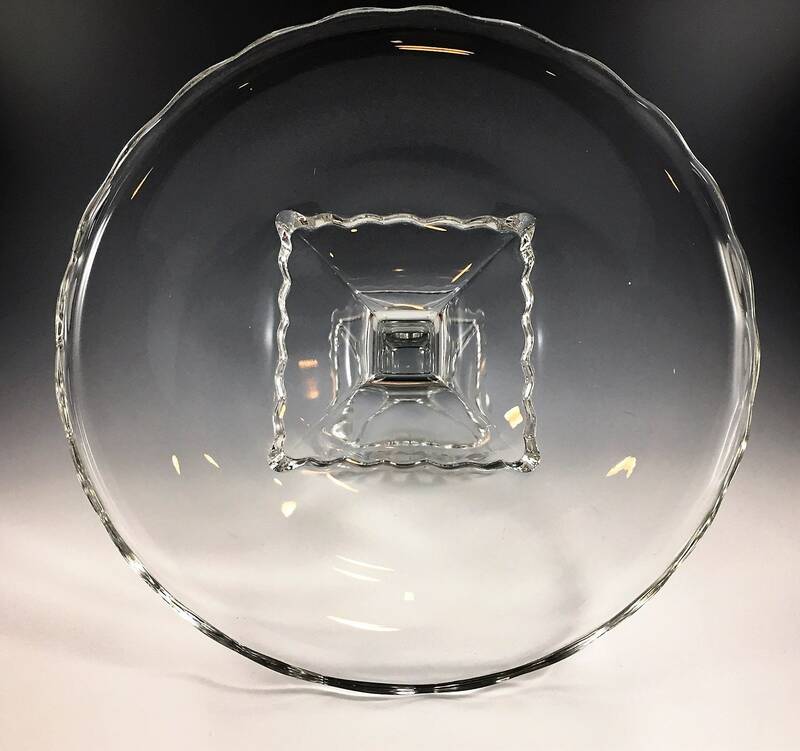 Sure to be the star of the table.